Introducing STYLVO (formerly African Fashion Bloggers Network), the highly anticipated website dedicated ultimately to the African fashion and beauty industries. 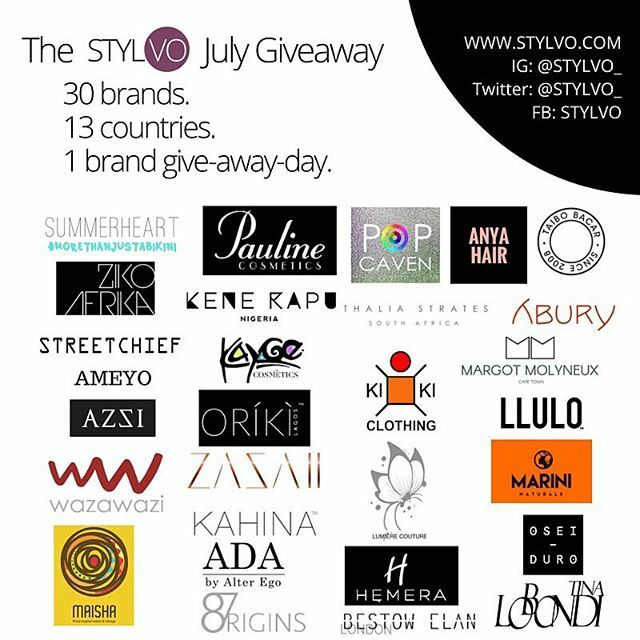 The STYLVO launch is commemorated by a one month giveaway which kicked off on Monday, July 4th 2016, featuring over 30 Brands representing 13 Countries within Africa and the Diaspora. STYLVO today announces the launch of its official website www.stylvo.com, a digital destination for top-notch and inspiring content from all over Africa and the Diaspora focused on fashion, beauty and lifestyle. STYLVO is dedicated to empowering and supporting the African fashion, beauty and lifestyle industry through: up-to-date information; interviews; events; and workshops that help both brands and enthusiasts grow. “STYLVO’s presence in the African fashion, beauty and lifestyle industry is set to be a defining moment in the digital media space. It is an outcome of a need to harmonize and represent the often-ignored and undermined African fashion and beauty industry. Thus, I sought to create a platform where fashion and beauty brands, enthusiasts, influencers and bloggers from across African and Diaspora can connect, share and grow,” said Elizabeth Laiza Kalu, STYLVO’s founder. The STYLVO launch is commemorated by a giveaway with over 30 brands representing 13 countries. We are being supported by brands such as Osei Duro (Ghana), Summerheart (South Africa), Ziko Afrika (Kenya), Oriki (Nigeria), Zazaii (Nigeria), Kahina Giving Beauty (Morocco), Taibo Bacar (Mozambique), Tina Lobondi (Congo) and much more. There will be one brand giveaway per day throughout the month of July starting on the 4th of July 2016. STYLVO is not focused on one country; it is focused on the entire African continent and the Diaspora. For the first time, the global curiosity about the undeniable creativity buzzing within Africa and Africans across the world can be satisfied. The STYLVO offering is a visual and beautifully written gateway into the daily happenings of Africans in Africa and in the Diaspora in places such as Kenya, South Africa, Rwanda, Mozambique, Angola, Morocco, Ghana, United States, United Kingdom, Nigeria, France and everywhere! “We want the world to Buy Africa...Created in Africa, Made by Africans, Inspired by Africa directly from Africans within Africa and across the World” Ginikachi Eloka, Lead Editor of STYLVO. This segment is dedicated to brands and provides the reader insight into various amazing African brands and their product offerings. Most importantly, readers are directed straight to the source in order to discover and also make a purchase. The Shop Africa segment creates mini experience-focused posts to encourage people to shop African brands. We are GIVING them INCENTIVES to buy, NOT just SHOWING them products. We are also building connections between brands and their potential consumers. Shop Africa is going to be majorly focused on crafting content that engages, motivates and excites people to patronize African brands both within Africa and across the world. STYLVO Connect serves as an educational platform for fashion and beauty entrepreneurs through Founder stories, insightful interviews and free educational resources. It is also a platform where information on STYLVO organised workshops and conferences is displayed. 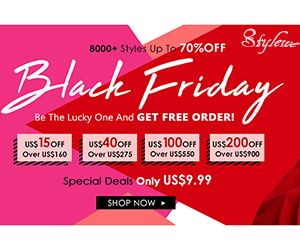 Launched in June 2016, STYLVO is an online fashion community platform. We curate the best of fashion, beauty and lifestyle news across the African continent through a team of creative and dedicated editors, in-house writers and contributors in order to keep our readers and followers in the loop about news and events shaping the ever evolving African fashion and beauty scene.